Peru President Martin Vizcarra vetoed on Monday a law that would have spared disgraced former leader Alberto Fujimori from prison, confining criminals over 65 suffering from serious or chronic illnesses to house arrest. The law, passed by a Congress dominated by Fujimori's former party, Popular Force, would have allowed the 80-year-old to avoid being sent back to prison once he leaves hospital, where he is being treated for heart problems. Fujimori is serving a 25-year sentence for crimes against humanity and corruption. He was granted a presidential pardon -- by Vizcarra's predecessor -- on humanitarian grounds in December, but that was revoked by a court earlier this month. Fujimori was 12 years into a sentence handed down for ordering two massacres by death squads in 1991 and 1992, leaving 25 people dead, when pardoned last year. 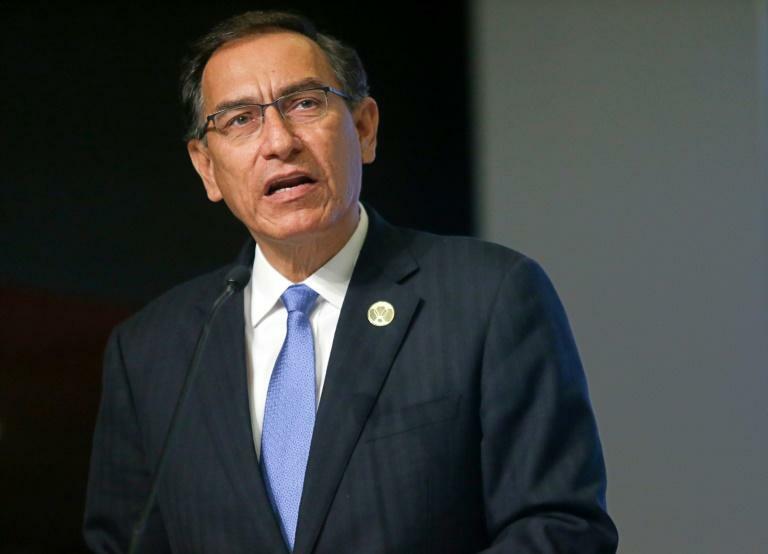 Vizcarra told journalists that before such a law could be passed, it would need to be "debated in depth to avoid" benefitting "incarcerated people who are a danger to society." He also described it as "unconstitutional." His veto is largely symbolic, though, as Congress has the power to approve any law through insistence, by holding a second vote two weeks later at which point the bill would be automatically passed. The bill was passed in Congress on October 11 thanks to the large majority enjoyed by the Popular Force, now led by Fujimori's daughter Keiko. It was criticized by human rights groups, though, with Amnesty International saying it was a blow to "the families of victims of grave violations of human rights." Conscious of such criticisms, Popular Force legislator Ursula Letona said her party would look to resolve the impasse in discussions with the government. Keiko Fujimori, who is herself trying to avoid prison -- accused of benefitting from millions of dollars in campaign bribes -- said it would be up to legislators to decide whether or not to consider Vizcarra's observations or push ahead with the bill. Alberto Fujimori has said that sending him back to prison would be a "death sentence."